Somehow, when a mindset of the past locks horns with a discussion of the present, the promise of the future is born. At a recent congressional hearing in the US, a group of Maryland fundamentalists—known collectively as Protect Marriage Maryland—put forward the idea that the acceptance of gay marriage would lead, unequivocally, to marrying robots. 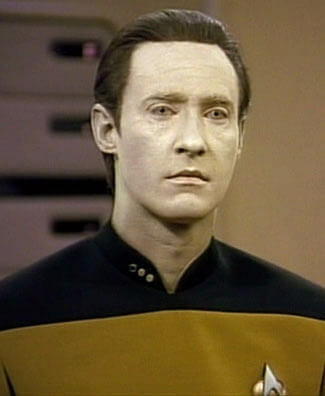 “You laugh, but it’s true,” says speaker for the group, Robert Broadus, having attempted to fortify his point on the inevitability of robot unions with a solemn reference to Data from Star Trek. If you’d like to hear more about the potential for inter-species coupling and robot tears, see the full submission on YouTube.